Netrunner MAG | If there are no clouds, can there be rain? If there are no clouds, can there be rain? In other words, will you cry if you data ends up in some thunderstorm somewhere out there, aptly known as The Cloud. In this article, I want to show, present and debate the merits of using cloud-based technologies for enhancing your computer usage. And by enhancing, I mean, see whether this can really happen. We will discuss the e-cloud, what it means for the common user, how can one leverage their offline storage with online services, whether they are useful in practical daily scenarios, and what kind of precautions one might want to take to avoid deadlocking oneself by technology. As always, I am going to be utterly subjective, so you might as well take a pickle jar and read this article through its thick, distorted bottom. Do you believe in the cloud? Now, that’s a silly question. It’s like asking do you believe in tofu? The thing is, tofu has merits, and so does the cloud, but it does not represent the end point, merely a component in a bigger picture. So you ask yourselves can you use cloud technologies, products and tools to make your Linux experience better? Well, not according to search engines. If you search for “linux cloud integration”, you will get a single post mentioning Peppermint Linux launching cloud integration applications, a few promotional snippets for websites selling ambiguous ideas, and one or two brief tutorials how to use Ubuntu One. Hardly inspiring. If you’re a little more savvy, you will definitely have heard or stumbled upon concepts like Amazon Cloud, Spider Oak, Dropbox, and others. You can categorize the products into two bins. One, you can use online computing capacity, which is what Amazon is offering. For a humble price, you can lease CPU cycles, memory, network, as well as storage, run your own virtual machines, and try to leverage your local needs with some remote usage. Two, you can use file hosting and online backup services, which tend to be more popular with home users. Free versions of said services usually give you between 2GB and 5GB of space, where you can keep your music, documents and whatnot. Then, you can periodically sync them. But other than the fact some of your data is accessible from pretty much any location, why would you call this The Cloud? After all, you still need your own device to connect to the remote service. You still need a client software to manage the synchronization of data. And whether these services are truly seamless or scalable remains to be seen. There have been many attempts to make proper cloud products. 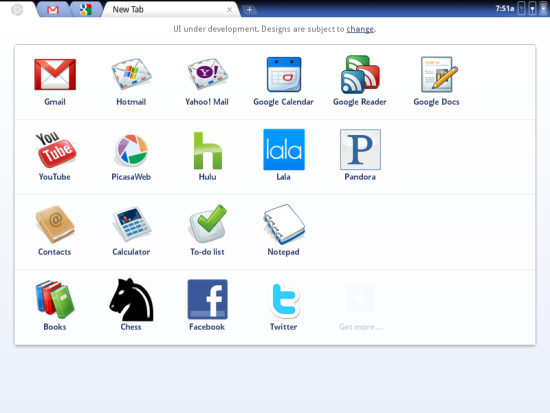 There was gOS, which aimed at integrating Google products with your desktop. Sort of. Google Chrome OS is probably the most easily recognizable brand. Stands to logic, too. Google is all about online. Their browser lets you sync all your data between different devices without really caring what the underlying architecture is. You can also use Google Docs, now renamed to Google Drive, to manage your documents. Combine them all together, slap a shell onto the final mix, and you get a portable operating system. Only it has not really caught yet. Another player was Jolicloud, a distribution that forced you to use an online account, either a native one or Facebook. In a way, it was a precursor of what Android would become on smartphones. From my testing, Jolicloud did work well, remembering my different assorted devices, syncing data between them and managing the system, all the while offering a reasonable presentation layer. Now, it did not quite break through to the other side, either. Let us not forget Moblin, MeeGo and a few other distros, all of which have been conceived as a bridge between simplicity and operating system neutrality. They did not quite succeed, either, because they failed to take the internal complexity from the equation, no matter how simple and appealing their visual part was, and because they did not offer a powerful application stack to their users. It turns out, when you yank the system portion away, people tend to clamor for programs. The moment you stop caring what operating system you are running, then you venture into a whole different dimension of user experience, for better or worse. 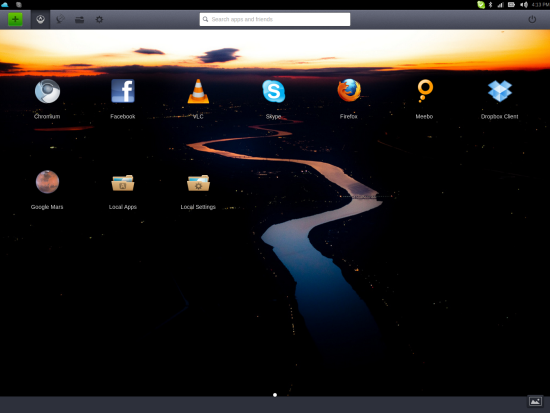 For now, it seems, that desktop cloud integration is not quite what you would expect, or what Linux users might need. 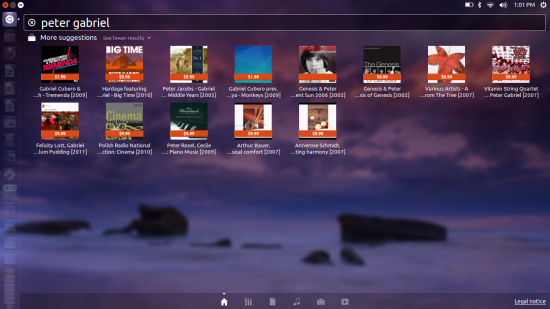 Still, there’s a new kind of cloud effort in the works, coming from Ubuntu. As you all know, Ubuntu is trying to encompass all facets of the computing spectrum without alienating anyone. It’s not a simple deal, as Unity is considered a controversial desktop environment, although it does offer a reasonable level of conventional usage as well as being as near as mobile-oriented as possible. The amalgamation of these different aspects of what people perceive as the blurring of offline and online is a handful of services designed to help you take more of your data from the local disk and place it somewhere out there, in the amorphous world of bytes. You get personal backup, you get integrated Amazon searches in the Dash, and you get online accounts. We will now discuss these, one at a time. Let’s begin with the online accounts. 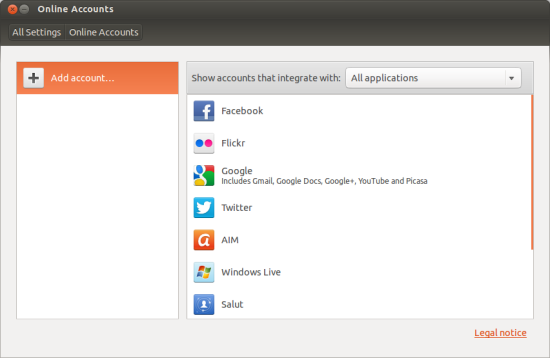 In Ubuntu 12.10 Quantal Quetzal, you get online accounts, which you can configure for you use with all supported applications. This means you will be able to integrate online services within the standard workflow of your programs. 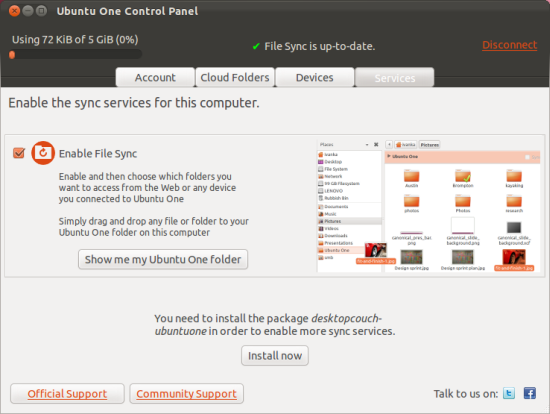 Next on the menu, Ubuntu One. For most purposes, this free and simple service is quite useful for a wide range of use cases. 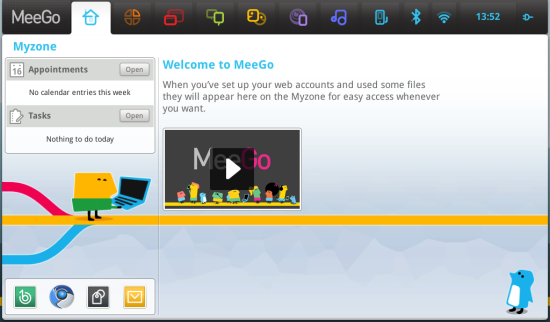 You get 5GB free online storage, which we be synced between all your Ubuntu One powered devices. Simple and neat and quite easy to configure. At the very least, the functionality allows common users without much interest and skill in setting up a robust backup strategy to somewhat improve the redundancy of their data, especially since you do not really sacrifice the offline capability. In a way, Ubuntu One, as well as comparable rival programs, is an extension of the classic computing model rather than a proper cloud technology, although it’s quite convenient to label it that way. Finally, the controversial Amazon search. They say, it brings the Internet closer to you, but I disagree. A Web search that is fully integrated with your local account reduces productivity, to say nothing of a potential privacy risks. While it is extremely convenient to be able to search for products online from inside your desktop, as it should be, data and search channels need to be separated. First and foremost, the cloud means a vertical expansion rather than a horizontal one. You do not gain visibility and flexibility by introducing new types of data into your ecosystem, but you do gain from introducing your data into new ecosystems. Therefore, all and any desktop integration of cloud technologies should be limited to the user. Other Linux distributions are also trying their luck in this space. 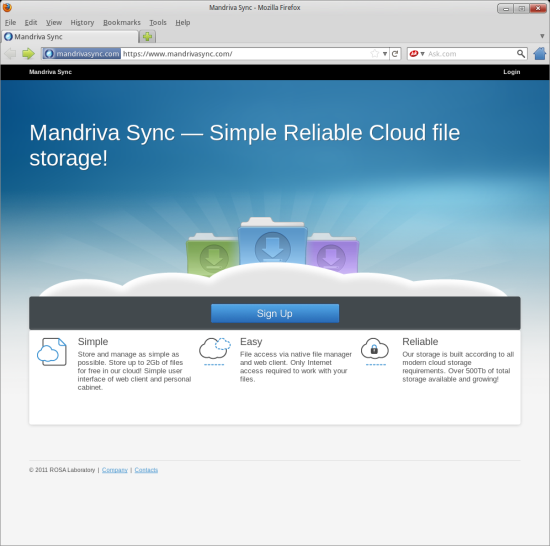 For example, once upon a time, Mandriva used to offer its cloud file storage to users, with 2GB free capacity. However, standalone backup services do not offer an integrated or integrative solution to how users can mitigate their backup and availability needs with remote flexibility. Which brings us to the future, and the limitations of The Cloud. I do not think The Cloud will become dominant any time soon. Sure, people will continue using online mail and streaming services, but none of these will become a single cohesive unit that removes the question of what operating system you have and run underneath. There are many factors, or conditions, that need to be met before online can become as seamless as offline. As long as your bandwidth, especially your upload is significantly less than your local disk, which spins at about 80MB/sec for mechanical devices, excluding hefty caches, and about twice that for SSD, you will not really want to care to commit your information in the cloud. Few people have LAN speeds provided by their ISP, to say nothing of 1GB/sec connectivity, which one could say equals the local disk performance. In most cases, even the most advanced network providers do not offer more than 100Mbit/sec, which is still an almost whole order of magnitude less than your typical hard drive. And we’re talking download only. Uploads are even worse. Shave another order of magnitude off your satisfaction scale. But even if we solve the speed problems and give everyone Japan/University quality connectivity, with 1Gbit/sec network card and full download/upload utilization, latency still remains the problem. Even if you can maintain a solid communication channel with the other side of the world, the network topology will introduce a significant delay that you do not experience when working with local content. Some of it can be mitigated by smart caching and buffering and other mechanisms, but there will always be a penalty that users will feel at some point in time. Whether it is acceptable, and whether the technology can overcome human impatience remains to be combat-proven. Let’s say you have 10TB of local storage. Can you really keep all that in some cloud somewhere? In today’s terms, even if you could somehow reliably split all your storage evenly into small segments, you would still need some 2,000 Ubuntu One accounts to contain all that. How would you go about uploading and downloading a 25GB Blue-Ray movie? Even if you can get all that data with reliable speed, managing such huge amounts of information at a remote facility could be tedious and cumbersome. Small files are fine, but then that’s all we’ve had for the past several years. In other words, the increase is not exponential, so it cannot really match the advancements in the computing power and capacity. Can any network provider truly offer 100% uptime, at all segments in your online chain? Perhaps 99.9% availability is fine for a Web server, but what if you need your documents right then, right there, but there’s a three hour outage? Not much if you consider it on an annual scale, but human needs are usually very immediate and short-spanning. Here’s another hot topic. Can your cloud provider guarantee absolute privacy, confidentiality and integrity of your data, at all times? When it resides on your box, it’s your responsibility. What happens if someone out there grabs a piece of your personal data? Is your cloud provider obliged to pursue the issue legally and financially? What happens if the breach of data occurs in another country? For that matter, would all data be available everywhere? There are many other facets of The Cloud everywhere around us. If you use Google Mail, you are somewhat dabbling in the cloud. If you use Firefox or Chrome sync, you are dabbling in the cloud. Steam, hopefully coming to Linux soon is also another manifestation of this fledgling revolution. Still, the overall technology still remains app-centric and network-limited. The true cloud, which completely breaks down the barriers of distance, is a distant prospect that might one day be realized. I believe that data defines the nature of its storage. The more personal it is, the closer you want to keep it. The more trivial it is, the easier it is for you to chuck it away onto some grid somewhere. 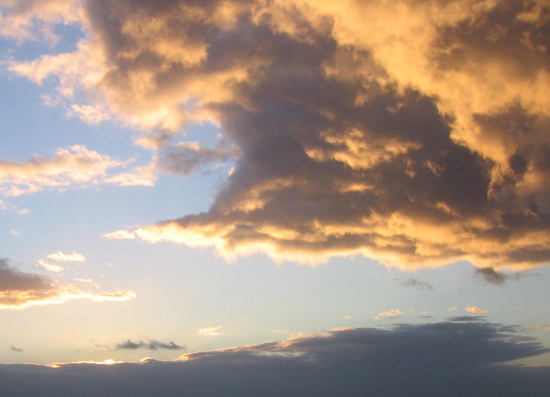 The Cloud will eventually be determined, shaped and set by human nature. It took a very long while before humans dug the gold from out of their backyards, dismissed their private guards and stored all their wealth in virtual vaults called banks. A transformation that took centuries to complete, and still remains somewhat controversial. Likewise, the human decision to part with their modern, intellectual riches will be limited by our ability to trust others with our possessions. It does not come as a surprise that mobile and smart devices seem to favor very dumb modes of work revolving around trivial and non-personal items, because those are the only types of data we are willing to place out there, in a world without clearly defined boundaries. But how many of you keep your medical records, the photos of your mistresses, and the credit card reports in cloud repositories? Once the technological barriers are resolved and we get Internet that is as pliant and flexible as our local machine, we will still remain fettered by our internal flaws. The Cloud, as envisioned by technology pioneers might never come to be. However, whatever it transmutes into, it will necessarily resemble our very nature. Otherwise, the efforts are bound to end as relics in the history of the modern world. Oh sigh. Igor, you should spend a bit more time in an in-depth look at Chromebook with its newest Aura Window Manager. My expectation is for robust sales of Chromebook during the Holidays. The fact that one can turn on, log in and use is the biggest selling point of this new computing experience. If a user can just pick up and use without much thinking I see that as a general success. The effect of this will be seen in ‘mass adoption’. So many have financial access to buying now at $199 (Samsung C7) that will clamor to have a computer for the first time in their lives. It will be the Chromebook. And the transparency of storage in the cloud won’t matter to them one bit.